Um, who am I again? Do you take any vitamins? I have been a complete slacker, but my mom was asking me about it the other day. The swirling chaos that is my life along with mommy brain have kept me from remembering this simple but important thing for quite a while. Since we start to lose bone density around 30, we are supposed to take Calcium supplements. Actually, my Dad (a pharmacist) says to take Calcium + D because the D helps you to absorb it. I am supposed to take that in addition to a multivitamin. We actually do a better job making sure our kids get their vitamins. We do the Flintstones with Iron because one of my kiddos is iron-deficient and Fiber Fruit Gummies because the same kiddo has some digestive issues. And it’s just easier to give both kids the same thing. So that’s what we do. Am I the only slacker out there, or are you guys taking your vitamins regularly? What do you take? And what do you give to your kids? Vicks Trick for Coughing Kids - It Worked! My husband has my babies all by himself this week. When I was leaving town today, I asked Walker if he thought they would be ok . He said, "Of course, Mama. You left us food and I have a light saber." "You are really annoying, and it is NOT opposite day." © Heather Alexander and TheMommyhood.com, 2018. Unauthorized use and/or duplication of this material without express and written permission from this blog’s author and/or owner is strictly prohibited. Excerpts and links may be used, provided that full and clear credit is given to Heather Alexander and TheMommyhood.com with appropriate and specific direction to the original content. 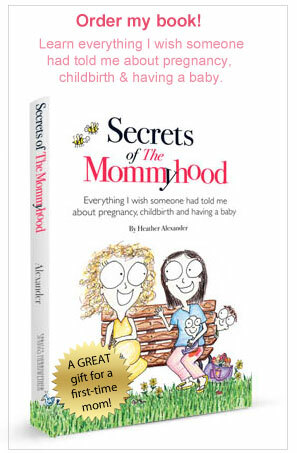 Thanks for stopping by TheMommyhood.com! Probably the easiest way to follow along is to "like" our facebook page. © 2019 TheMommyhood.com. All Rights Reserved.